Here is our collection of guns for sale. While not a firearms retailer per se, we do offer new and used guns for sale on consignment, and in some cases when we have a prize table pickup to offer. Our purpose built CPWSA Ultimate Carbine is also listed in this collection, as well as stripped and built out AR15 lower receivers. 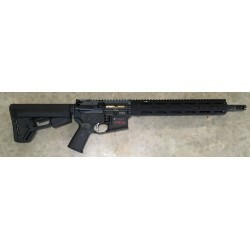 All firearms and receivers listed in this collection are only sold in accordance with local, state, and federal firearms law. We also offer a layaway program for your convenience. Contact us for details.